Activ Financial is a global full-service market data provider serving the financial services industry. This is their third office in New York City and one of several worldwide locations. The office program demanded an open, light-filled, energetic environment that promoted staff interaction and dialogue. 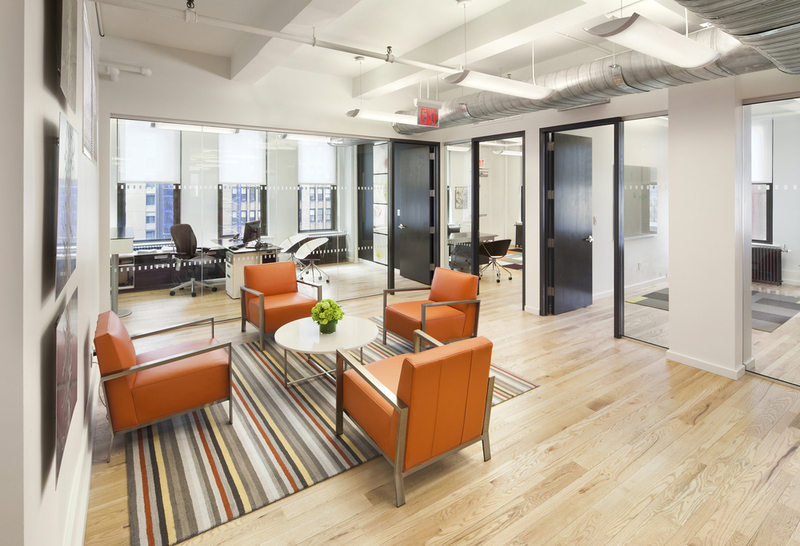 Tobin Parnes created a vibrant loft-like space by maintaining an open plan, visually connecting the perimeter offices with the acoustically controlled interior core. Vibrant accent colors, bold graphics, warm finishes and streamlined furniture systems further enhance the companies savvy, contemporary image.